There are times when we need to borrow money. And, when we borrow money, we expect to pay it back, whether it is from a friend or a bank. However, it would be convenient to be able to transfer money from a credit card to a bank account instead of taking out new loans when necessary, especially for smaller purchases. 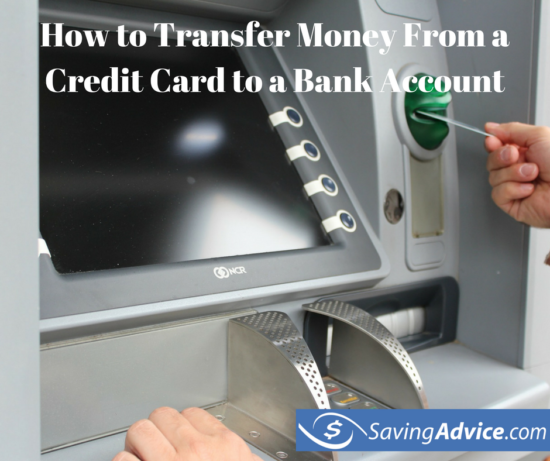 Believe it or not, in fact you can actually transfer money from a credit card to a bank account. First, check the terms of your card. Although it is possible to transfer money from a credit card to a bank account, it does not mean that every credit card holder allows it. In addition, you want to be aware of any additional fees or transferring charges that may accrue with this type of transaction. Banks and creditors will generally charge an interest on top of what you owe. Even with a credit card in hand, you are essentially using borrowed money for current purchases, meaning you do need to repay the money you were given. 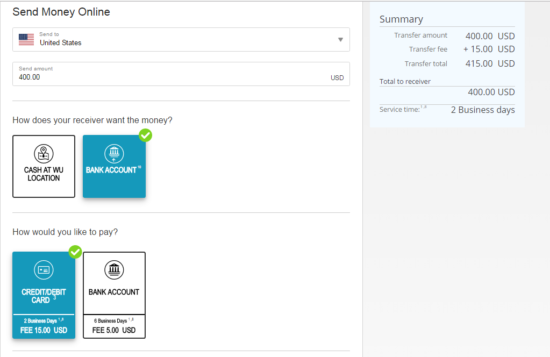 For example, Western Union is one that does have the option to transfer money from your card to a bank account when you log in to your WU account. If you wanted to transfer from one bank account to another, it would only be a $5 charge from Western Union. But, from a credit card, it will be a $15 transfer fee and should be in your account within two business days. This does not include any charges your bank may charge, though, for the transaction. You will definitely want to double check these terms not only with your credit card holder but your bank as well. If that doesn’t work, try an alternative. Checks from the card issuer. Many credit card companies do provide checks that enable you to take money from your line of credit to use as payment. You could also opt for a bank deposit. However, user beware; these fees can be equally as high as the transferring fees at times, depending on the company. Cash advance. Perhaps one of the more common ways to transfer funds is to request a cash advance from your credit card company. If they do permit cash advances, you’ll likely be able to do a cash transfer as well. Once again, you’ll want to be cautious as this route can also lead to higher interest rates and fees. ATM withdrawal. Along with a cash advance, withdrawing cash from your credit card directly through an ATM could be another option. You’ll want to be sure to study those terms and conditions prior to withdrawing to avoid unexpected charges. Loan from the card issuer. You could opt for requesting a loan from the credit card company, which would then put the money directly into your account. You should really only consider this, though, if you need to make a large purchase and are also able to make those monthly repayments on time. Personal line of credit. A personal line is basically a loan used as a credit card. This does make it easier to convert your credit to cash, but you still want to be careful as to not neglect payments on it so that you do not hurt your credit. Which cards let you transfer money to a bank account? Here is a listing of the top ten credit cards in the US, by sales volume, and whether they let you transfer money to a bank account. Best Buy Visa Credit Card: Yes. Best Buy Visa will do a balance transfer. Walmart Store Credit Card: Yes. Walmart cards allow for cash advances. Old Navy Visa Credit Card: Yes. Old Navy cards let you take cash advances. Sears Credit Card: Yes. Sears cards allow for convenience checks with a fee up to 5%, $10 minimum. Home Depot Store Credit Card: No. Home Depot does not allow transfers to bank accounts. Lowes Credit Cards: No. Neither the Lowes store card nor the Lowes branded visa will do cash advances or balance transfers. Banana Republic Credit Card: Yes. Visa branded Banana Republic cards will allow for cash advances, but not balance transfers. Gap Credit Card: Yes. Visa branded Gap cards allow cash advances, but not balance transfers. Macy’s Credit Cards: Yes. Only Macy’s American Express will do cash advances. Chase Freedom: Yes. Chase Freedom cards allow cash advances and balance transfers. Limitations on the amount you are able to switch over may apply, even if your bank does allow credit card transfers. Not to mention, your credit card issuer may also have restrictions on how much you can take out from your card. At the end of the day, you are working with borrowed money, so you want to avoid accruing even more interest charges as much as possible as well as not getting behind in your bills. The ability to transfer money from a credit card to a bank account can be helpful when in a pinch. Just remember to always read the fine print.